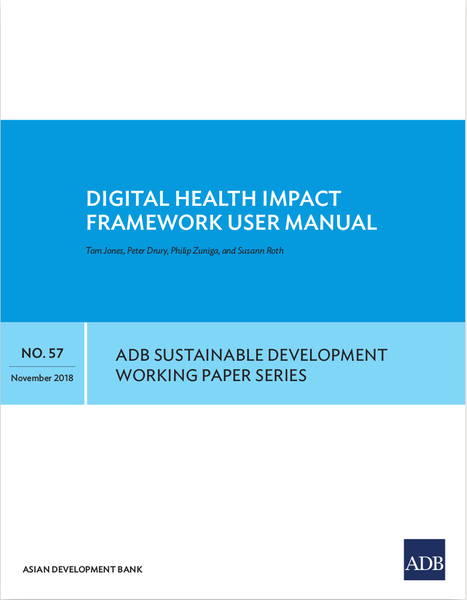 The ADB’s Digital Health Impact Framework (DHIF) is a ten-step methodology developed by Tom Jones, Peter Drury, Philip Zuniga and Susann Roth. It helps Ministries of Health and health systems decision making by building digital health to identify digital health strategies and projects that offer affordable Value for Money (VFM) and mitigate risk. Like all investment decisions, digital health investment relies to varying degrees on assumptions and estimates. DHIF models enable decision makers to manage and develop these as strategies and projects move from concepts to implementation and operation. It draws directly from digital health strategies. The ADB’s Guidance on Investing in Digital Health helps with this.